Every month, millions of Chrome users encounter pages with insufficient mobile subscription information. Surprising charges that come from unclear communication are a poor user experience. 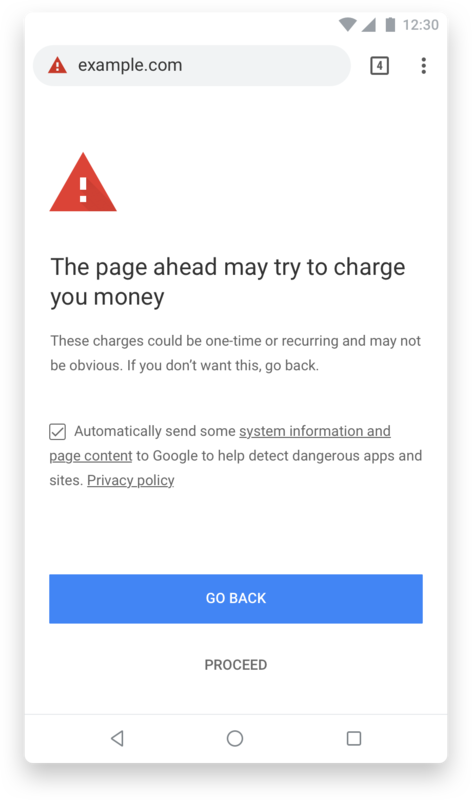 That’s why starting from Chrome 71 (December 2018), Chrome will show a warning before these pages so that users can make informed decisions when signing up to mobile-based subscription services. Users will be offered the choice to proceed to the page or go back if they were unaware that they were entering a billing page. 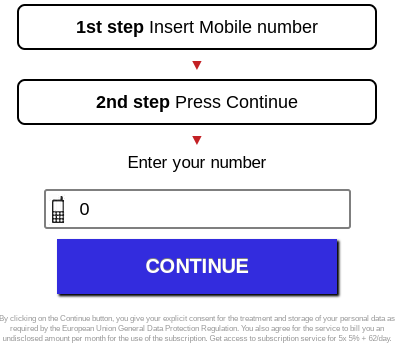 The warning is shown to users entering unclear billing pages. When we identify such pages, we notify the webmaster through Search Console where there will be an option to let us know about the changes they’ve made to clarify the billing process. For websites that aren’t verified on Search Console, we will do our best to get in touch with the webmasters affected and will be available to answer questions in our public support forum available in 15 languages. Once an appeal has been sent via Search Console, we will review the changes and remove the warning accordingly. If your billing service takes users through a clearly visible and understandable billing process as described in our best practices, you don’t need to make any changes. Also, the new warning in Chrome doesn’t impact your website’s ranking in Google Search.